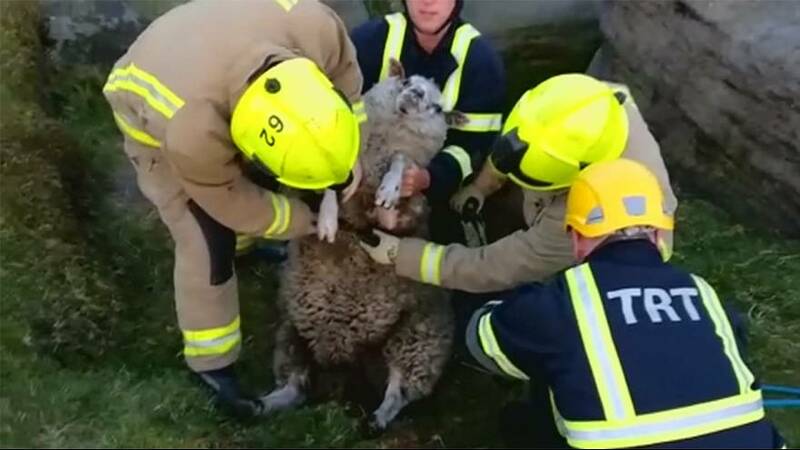 A sheep named Dolly has been rescued by firefighters after getting stuck in a five-metre-deep rock crevice on moorland in West Yorkshire. A group of climbers raised the alarm on Tuesday (May, 2) evening, after spotting Dolly stuck amid the rocks, the West Yorkshire Fire and Rescue Service (WYFRS) said. The animal was not said to be in any distress and was rescued uninjured.